Horatio Gordon Hutchinson is one of the most strangely elusive Golden Age mystery writers that I haves studied. There are many writers of this time whose names have been forgotten and whose books are unobtainable, unless they are republished by one of the contemporary publishers who are interested in reviving these books. 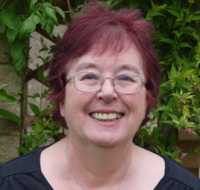 However, Hutchinson is a Golden Age author who is well remembered and whose life is reasonably well documented, but not as a writer of detective fiction. Ironically, many of his books are still celebrated, but mainly for his success and expertise as a golfer and teacher of golf. Hutchinson was also proficient at billiards and enjoyed angling, rowing and shooting. After leaving Oxford with a 3rd Class Honours Degree he started to study for a career in Law, but his health broke down and he abandoned this. In 1890, he considered becoming a sculptor and, for a short while, studied under G.F. Watts, the painter and sculptor who was associated with the Symbolist Movement, but Hutchinson’s ambitions in this direction do not seem to have lasted for long. To say that Hutchinson was a Victorian seems to be stating the obvious, after all he spent the first forty-two years of his life with Queen Victoria on the throne and it is clear that this shaped many of his points of view. His attitude to women may be best seen in his reply to a woman who wished his advice about forming a Ladies’ Golf Union. I have read your letter about the proposed Ladies’ Golf Union with much interest. Let me give you the famous advice of Mr Punch (since you honour me by asking for my opinion). DON’T. My reasons? Well? 1) Women never have and never can unite to push any scheme to success. They are bound to fall out and quarrel on the smallest or no provocation; they are built that way! 2) They will never go through one Ladies’ Championship with credit. Tears will bedew, if wigs do not bestrew the green. Constitutionally and physically women are unfitted for golf. They will never last through two rounds of a long course in a day. Nor can they ever hope to defy the wind and weather encountered on our best links even in spring and summer. Temperamentally, the strain will be too great for them. THE FIRST LADIES’ CHAMPIONSHIP WILL BE THE LAST, unless I and others are greatly mistaken. The LGU seems scarcely worthwhile. It seems that, in his early thirties, Hutchinson was already a crusty and rather pompous old man. In a climate of increasing demands for women’s emancipation, he may count himself fortunate that his words did not inspire Murder on the Links (1923) three decades earlier than when Agatha Christie wrote her novel of that name. As it was, unsurprisingly, his words inspired the golfing women into action and the Ladies Golf Union was formed in June the same year and thrived. In 1893, Hutchinson married Dorothy Chapman, the daughter of a major in the 14th Hussars. 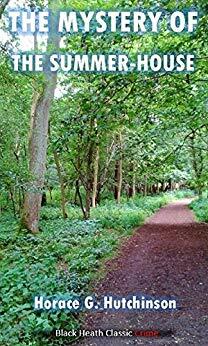 Hutchinson retained his Amateur status at golf and, apart from directorships of various financial ventures, seems to have made his living by writing. He was incapacitated by ill-health for much of his adult life and by 1914, when he was in his mid-fifties, he was seriously disabled. He committed suicide in 1932. It is unwise to assume that a fiction writer is writing about themselves or is drawing upon their own experiences in anything but the most general way, but, remembering Hutchinson’s brief attempt to study for the Bar, I found myself wondering whether the feelings of David Eden, the First Person narrator in Murder in Monk’s Wood (1927), may mirror Hutchinson’s own reasons for abandoning the study of Law. ‘Indecision was, and I suppose always will be, a common state, a common fault, with me – indecision and timid self-consciousness which often made life a trial and misery for me. With that timidity and self-consciousness, I could not see myself a success at the Bar. The figure of a successful browbeating counsel I felt to be just about as far from me as the achievements of William Shakespeare or Napoleon Bonaparte.’ I think this speculation came from the fact that, in the three novels that I have read, Hutchinson’s skill at characterisation is far from his strongest asset, but David Eden is much more psychologically realistic and consistent than any of the characters in his other books. In the three books that I have read, Hutchinson tries out different writing styles. The Mystery of the Summer-House (1925) is told in the viewpoint of a young woman whose ‘young aunt,’ the frivolous, errant wife of the narrator’s much loved uncle, is found murdered in the summer-house, a short way from the main house. It is obvious that Hutchinson struggled to master the First-Person style. For the first chapter, the gender of the narrator is not clear, and and much of the book is spent with the narrator describing in unrealistic detail things that did not occur in her presence but were related to her afterwards. Hutchinson was sixty-six and his attempt at writing in the viewpoint of a young woman made her sound like a smug and disapproving old person, who continually uses the platitude ‘my poor young aunt’ without having any real feeling for the victim. The information about the various characters is not subtly introduced but repeated continuously, in a way that I, as a reader, found both boring and insulting. The Victorian values regarding class were firmly in place. The Scotland Yard detective, himself a man from the lower orders, points out to a working-class man that if he had committed murder he would not think twice about lying. However, the detective fails to apply this reasoning when the suspect is well-born and wealthy. Moreover, in a fine example of blame the victim, it is maintained that it is a lesser sin to be a murderer than to be an unfaithful wife. In The Foreign Secretary Who Vanished (1927) Hutchinson goes in the opposite direction and uses multiple viewpoints in the Third Person. Again, Hutchinson's characterisation skills are not up to the task and he spends a great deal of time repeatedly telling the reader how charming, clever, witty or scheming certain characters are without successfully showing these characteristics. Again, the Victorian admiration for wealth and status is in play, along with sentimentality regarding children. However, considering Hutchinson’s devotion to most types of ball games, it is amusing that just as the heroine is about to accept an offer that would radically change her life, she is prevented by the incursion of a tennis ball. Murder in Monk’s Wood (1927) sees a return to a single First-Person narrator and this time far more successfully. David Eden the narrating character is young, vacillating and inclined to over-dramatise his feelings, but he is convincing, and his dilemma is real. 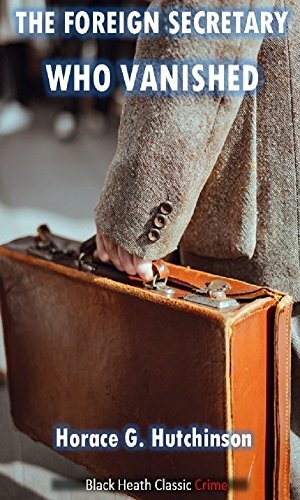 In this novel Hutchinson stays with things that the narrator has witnessed and avoids the repetition of clues and characteristics that weighed down the two earlier books and its pace and characterisation is far better. Hutchinson’s books are not great examples of Golden Age detective fiction. In the same years, Agatha Christie produced the lively romantic adventure The Secret of Chimneys (1925) and her cutting-edge The Murder of Roger Ackroyd (1926) and Dorothy L. Sayers produced Clouds of Witness (1926) and Unnatural Death (1927.) However, these are unfair comparisons when Christie and Sayers, although born during Victoria’s reign, were much younger than Hutchinson and at the heart of the new wave of detective fiction. The interesting feature of Hutchinson’s crime fiction is that he was a truly Victorian writer trying to learn some new Golden Age tricks. 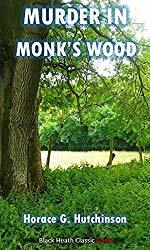 Murder in Monk’s Wood shows promise that he was succeeding and, if his three later books are also republished, it will be interesting to see if this promise was fulfilled.